A newly proposed backcountry tenure for heli-skiing, heli-biking and heli-hiking stretches from the mountains just above Kootenay Lake nearly all the way to St. Mary’s Lake near Kimberley. It covers 700 square kilometres in the heart of the southern Purcells wilderness. This area is key for wildlife, linking a core population of grizzly bears in every direction, supporting the struggling South Purcell mountain caribou herd, mountain goats, wolverines, moose, trout and others. 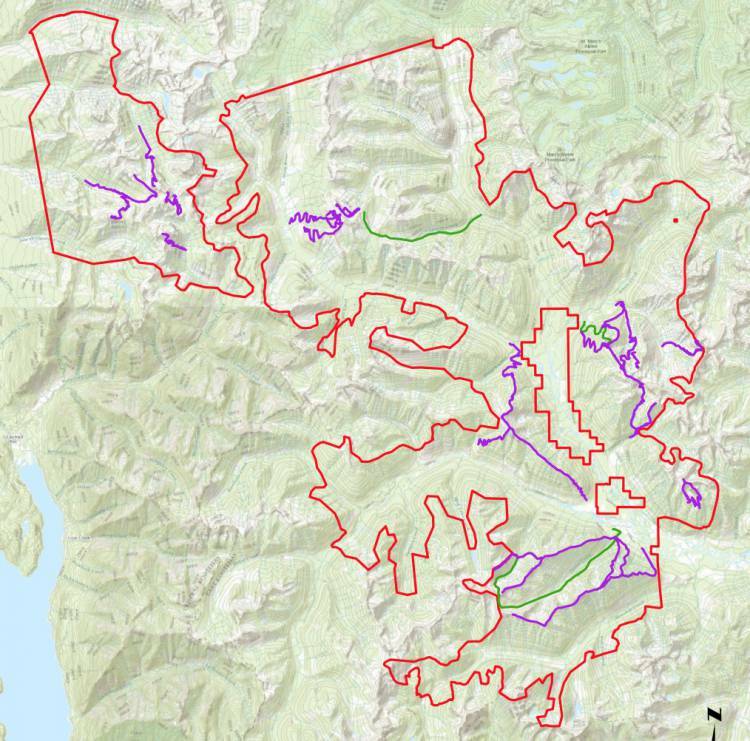 Within the proposed tenure, there are 33 proposed helicopter-accessed bike trails, covering more than 160 km, mostly in the alpine and sub-alpine. For an area with trails that only see a few hikers in a weekend, the number of new biking trails, the downhill bikers on them and the helicopters carrying them from valley bottom to mountain peak daily is a fundamental shift in the nature of the backcountry. And in the winter, there will be daily heli-skiing. Overall, many thousand1 of person-days are projected every year. The tenure proposal is from adventure tourism operator Retallack. Yaqan nu?kiy, the Lower Kootenay Band, have announced that they are a partner in the project. We acknowledge and support Yaqan nu?kiy’s economic development efforts, but we have serious concerns about the environmental impacts of this particular proposal. We value the Ktunaxa Nation’s stewardship of the land, from time immemorial to the present, from Qat’muk to water quality issues in the Elk Valley, mountain caribou and more, so we are bringing our concerns to the attention of not just Yaqan nu?kiy, but the Ktunaxa Nation as a whole. Retallack’s proposed tenure covers more than 700km² and includes 161km of helicopter accessed downhill (purple) and all mountain bike trails (green). At the same time, there is a smaller proposal from Northwest Mountain Experience for a helicopter-access lodge in the Dewar Creek wilderness and a 110 square kilometer tenure for ski touring and hiking, near the edge of the Purcell Wilderness Conservancy. Northwest’s tenure proposal overlaps entirely with Retallack’s. For the grizzlies, the area is rich with huckleberries and sparse in roads and people. The summer is their time to stock up on calories to be able to survive the winter. Intensive backcountry biking and hiking poses significant threats to bears, likely leading to abandonment of important food habitat or dangerous human-bear interactions. Mountain goats are known to be seriously affected by frequent helicopters. When a helicopter passes within a couple kilometres, they try to get high up on a cliff to avoid the threat, thinking it’s a predator. 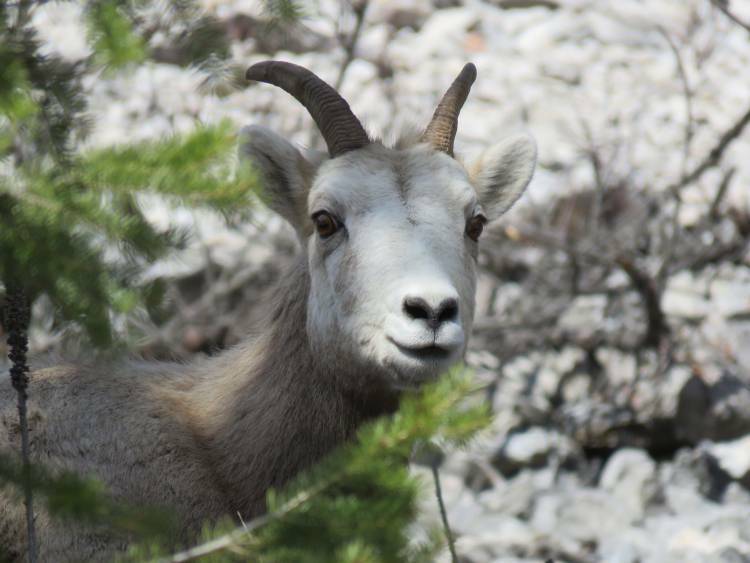 But when the threat is constantly coming from above, there’s nowhere to go, leading to a real risk that mountain goats will also abandon important habitat entirely. There are four mountain caribou left in the South Purcell herd—this small herd is on the edge. While the proposed tenure generally avoids their most-used habitat, direct helicopter flights would fly right over their key summer and winter habitat. Though safer flight lines are possible, they would require much longer and more expensive flights. As much of the tenure area is historically important caribou habitat, we need to protect this area for their future. For the rarely seen wolverine, who make their dens underneath the winter snow, the evidence is mounting that the more humans and their machines, the fewer wolverines there are in an area. For the trout in the mountain streams and lakes, the threats are fuel spills from refilling stations serviced by truck in the middle of the mountains and sediment runoff from heavily-used mountain bike trails. The guiding policy on land use in the South Purcell backcountry, the Cranbrook West Recreation Management Strategy, bans helicopter-based recreation from all but a small area of the proposed tenure, the portion on the Kootenay Lake side of the mountains that was outside the strategy’s scope. More than a decade ago, the provincial government brought backcountry users and advocates together to hash out a hard-won compromise about which backcountry uses are allowed where—and they agreed that this place was too environmentally sensitive to allow any more helicopter access. This proposal brings into serious question the value of community groups’ participation in government-led public process. We’re lucky to have a large wilderness in our backyards that still gives grizzlies, caribou and wolverines room to roam with minimal human interference. It’s important to keep the southern Purcell wilderness intact. Any tenure application must demonstrate that it won’t have a negative impact on wildlife and wilderness. Please let the BC government know that you are concerned about the impacts of this proposed tenure on wildlife and wilderness in the South Purcells. Read our full comments on Retallack’s proposal and on Northwest’s proposal. Submit your official comments on Retallack’s proposal here by July 15th. The comment period for Northwest’s proposal ended on May 6th. Here is a map of Retallack’s tenure and trails or just their tenure and a map of Northwest’s tenure, lodge and cabin proposal. Here are the management plans for Retallack and Northwest. 1 – Initially, based on the proposed management plan, this read ‘tens of thousands’. The proponent has submitted an addendum revising their management plan that is for 7200 person-days.